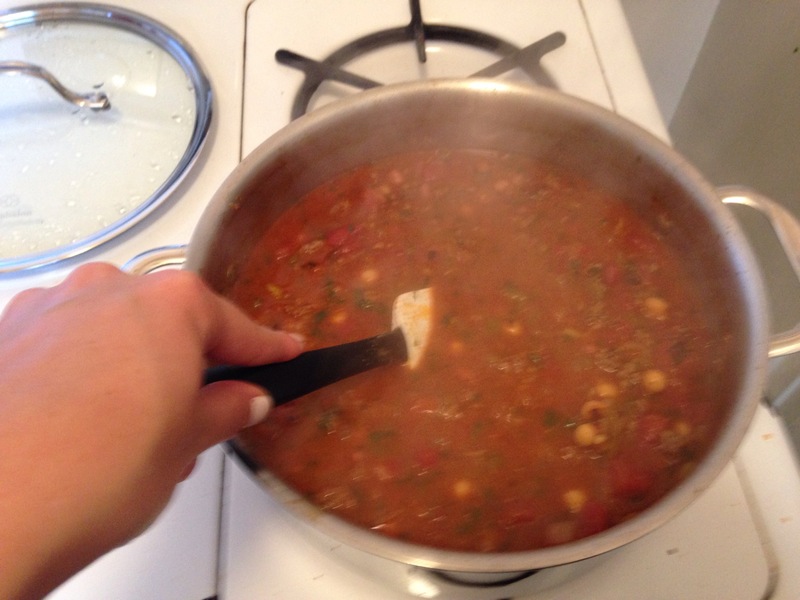 Ok so, this chili isn’t technically “cheating”…it just feels like it because it’s so easy! San Francisco is not Florida, and it is no longer 90 degrees around the clock. For this girl, 60 degree nights means chili. The thick, meaty, stick-to-your-ribs kind. I started with one small onion sauteed in a pot with just a little butter. Once that had cooked down until almost translucent, add the meat. Keep an eye on it, as you want to catch it just before it browns up. Once the meat and onion are done, time to get the the cheating part. The cans. 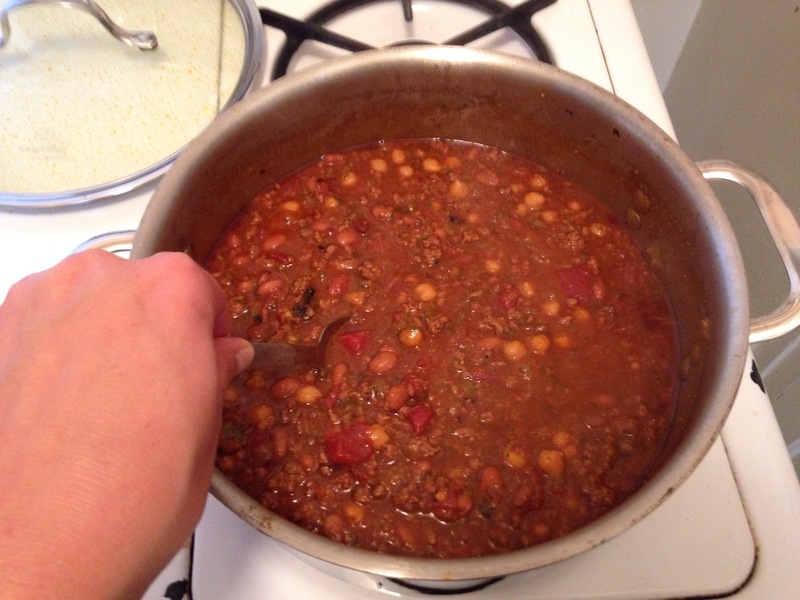 I used one can chili beans, one can garbanzo beans (mostly because I hate kidney beans with a burning passion. 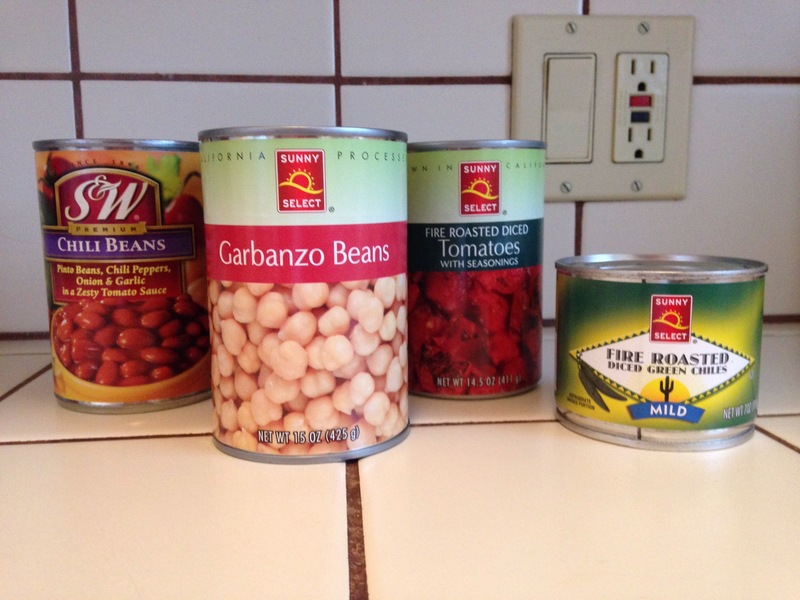 Garbanzo beans are my substitute), one can fire roasted tomatoes, and a can of diced green chilis. From there, I added about one can’s worth of water, and then my spices. I like a bit of a kick to my chili, so I use cayenne, garlic powder, chili powder, cumin, and salt. These are to taste, so add some, taste, add more, taste…you see where this is going. If I had to guess, I’d say I used about 2 tablespoons chili powder, and less of each of the others. 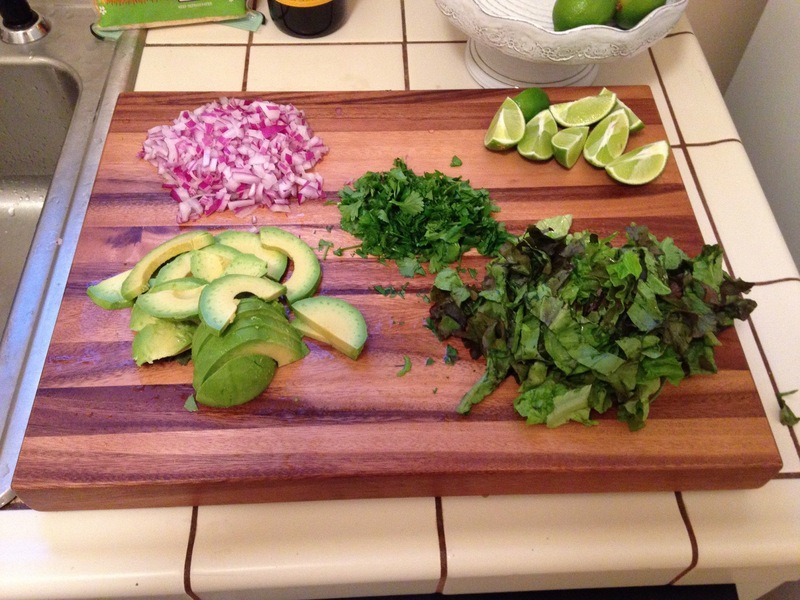 I also chopped up a full bunch of cilantro and the juice of a fresh lime to liven it up a bit and get some fresh flavor. From there, you simmer and wait. I let me chili simmer on low for about 4 hours, letting the flavors of the seasonings really come out and meld together, and also thickening the mixture. And the you’re done! Top with whatever chili-toppings you like and enjoy! I prefer green onion, cheese, sour cream, avocado, and a few splashes of Tapatio hot sauce. 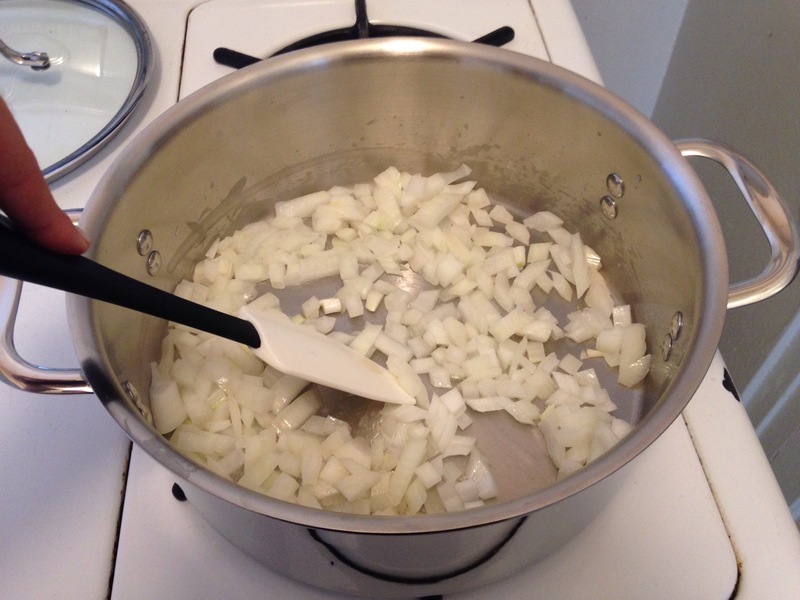 Saute diced onion in a tablespoon of butter or EVOO. 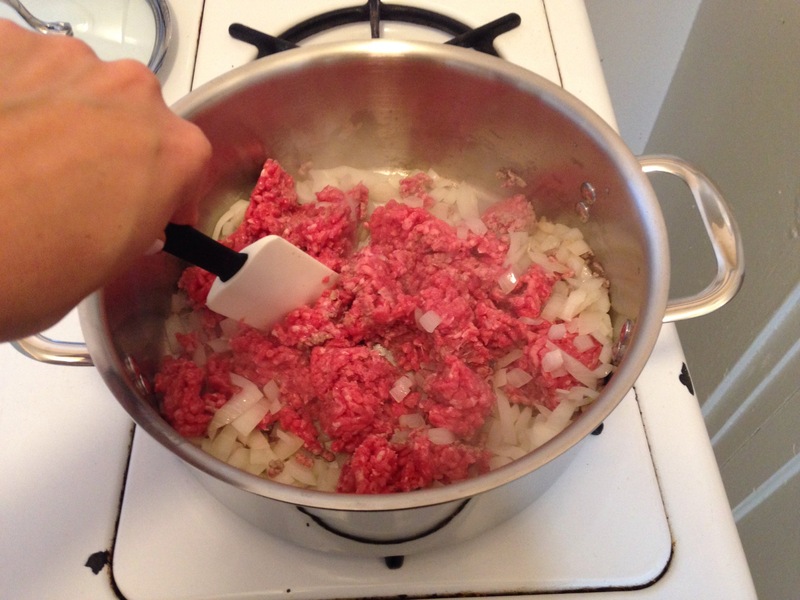 Once nearly translucent, add meat and cook on medium high until browned and no raw spots. Add beans, tomatoes, and green chilis. Stir in one can’s worth of water and add seasoning to taste, along with chopped cilantro and the lime juice. Stir and let simmer for 4-5 hours on low, stirring occasionally. Serve with whatever toppings you desire! This looks amazing! I’ll have to make it if it ever gets cold here in Austin, they tell me it will… so we will see.